Product liability claims may arise from numerous circumstances, but Oklahoma law imposes strict limits on what may be the basis for product liability cases. Because the unique laws of each state vary with regard to who may bring a product liability claim to court, and in what circumstances a claim may be considered, it’s important to consult an Oklahoma product liability attorney if you’ve suffered from defects in manufacture, design or marketing a product. Oklahoma product liability law, for example, doesn’t limit product liability claims to those who purchased a product. Bystanders – or those who were incidentally exposed to a defective product – may also be awarded compensation. Bystanders, in the legal sense, can the family of someone injured by a defective product. Oklahoma courts have decided that product liability doctrines accepted in other states, including market share liability, alternative liability, concert of action and enterprise liability theories can’t be applied in Oklahoma product liability cases. Consumers generally can’t be held liable for injuries caused to others by defects in products they purchase, but with some exceptions, successor companies are responsible for liabilities caused by products of companies they purchase. Those who sell used merchandise, for example, usually can’t be held liable for defects under current case law. For a free consultation with a knowledgeable Tulsa product liability attorney, contact the Wirth Law Office today at (918) 879-1681 (or toll free at (888) Wirth-Law). Harm beyond the product itself. 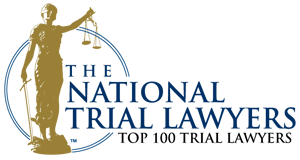 The Uniform Commercial Code provides relief related to products that fail and cause economic harm. Oklahoma product liability cases arise from defects that cause personal injury or damage to other property. Oklahoma law generally provides a two year statute of limitations in product liability claims, but there are exceptions. 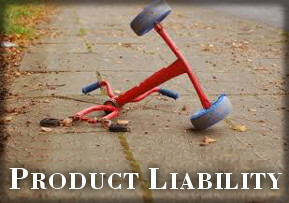 In some cases a product liability claim can be extended for a year by filing then dropping a case. In claims involving a death, the statute of limitations can be particularly nuanced. Oklahoma recognizes several reasons a product liability claim may be invalid. Assumption of risk: A person may assume some risk if they knowingly use a defective product, but it can become a question for a jury to decide. 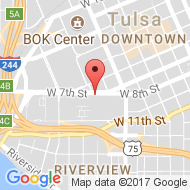 Comparative negligence: Oklahoma courts have generally concluded that a persons own negligence doesn’t diminish their claim unless it is the cause of the injury. Extended use: In some cases, makers of products that were safely and repeatedly used for an extended time before a defect caused an injury have been exonerated. 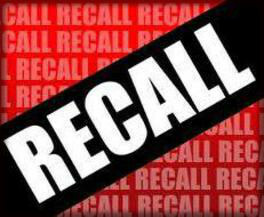 Government Contractors: The United States Supreme Court has concluded products made to military grade specifications whose manufacturers warned the government about product dangers may generally be exempt from product liability damages. Lack of causation: If a person’s own actions, through abnormal use, modification or other acts over which a product maker had no control caused an injury, the case might be dismissed. Learned intermediary: A “smart enough to know better” defense — if a person is not an ordinary customer but is someone with special skills and knowledge about safe use of a product, a claim may be dismissed. Obvious defect: A duty to warn of dangers associated with a product only extends to users who otherwise might not know of the danger. State of the Art: A product maker who adheres to the routine customs and practices of an industry can sometimes use a state of the art defense against Oklahoma product liability claims. Substantial Changes to the Product: If someone alters a product after it left the factory in a way unforeseeable at the time it was made, the maker might be held blameless. Unavoidably Unsafe Products: Consumers and industry demand numerous products that can be inherently dangerous. Makers are generally not liable for inherent dangers of properly manufactured but dangerous products. If you’ve been injured or a family member has died as a result of a defective product, it’s important to act now before your the statute of limitations makes it impossible to collect damages. A Tulsa product liability attorney at the Wirth Law Office can assist you in collecting damages for an injury to yourself, a child, a parent or guardian of a child or a spouse. You may be entitled to both compensatory and — if there has been reckless disregard for public safety by a manufacture — punitive damages. Contact the Wirth Law Office at (918) 879-1681 (or toll free at (888) Wirth-Law) before it’s too late to find out what your case may be worth. If you would like a free consultation with an Tulsa product liability attorney, call the Wirth Law Office at (918) 879-1681 (or toll free at (888) Wirth-Law) or submit the question form at the top right of this page.